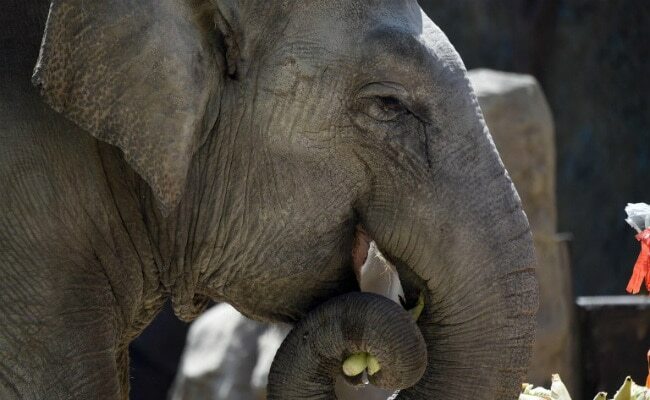 The licence was suspended after a Tamil daily carried a report about the elephant used for begging. Chennai: The Madras High Court has taken strong exception to use of elephants to bless devotees and seek money, holding that such practices amount to begging and violate rules related to management of captive animals. The court in its recent order directed forest officials to ensure best possible atmosphere and health conditions for the captive animals and strict compliance of related rules. Justice D Krishnakumar gave the direction while hearing a petition by N Sekar, seeking to quash an order passed by forest department officials suspending the transit licence for taking his elephant to Sree Varadharaja Perumal temple at Kancheepuram near here. In his order, the judge said the court had been informed that elephants were used to bless devotees and receive money in return which was nothing but begging and violated Tamil Nadu Captive Elephants (Management and Maintenance) Rules 2011. The rule states that an elephant should not be taken to the streets and other places for begging or any other purpose. The judge noted that such acts would amount to exploitation of the elephants and subjecting them to uncharacteristic behaviour. He said in order to ensure the best possible atmosphere and health conditions of captive elephants, the Tamil Nadu Captive Elephants (Management and Maintenance) Rules 2011, and the provisions thereof have to be followed scrupulously. The judge ordered district forest officers to ensure the rules were strictly implemented in its true letter and spirit and asked the authorities to circulate the rules in Tamil version to all the owners of captive elephants. The petitioner submitted the elephant was used to seek alms by its mahout and his assistant. After the incident came to his knowledge, he had dismissed them and moved the forest department for provision of the transit licence. The judge directed the petitioner to approach the principal chief conservator with all particulars as per norms and conditions. He also directed the authorities to take steps to ensure that the mahout and his assistant were paid adequate monthly salary by the owners of the elephants.